We've got a May Bingo Challenge for you to win $100 Pollard's Gift Card going on through May 31st! 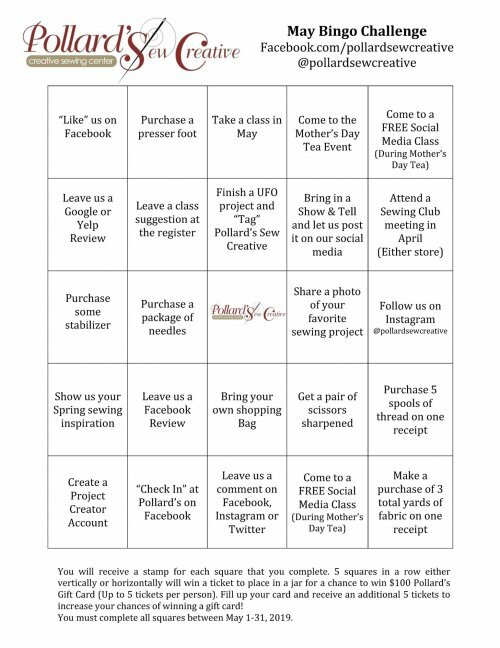 Stop in to either of our locations to get your Bingo card or download your .pdf bingo board below and start filling up your spaces. 5 in a row - either vertically or horizontally earns you a ticket for you to put in a jar for a chance to win $100 Pollard's Gift Card. Fill up the board and get 5 extra tickets to increase your chances of winning!! There will be 2 winners, one from each store.